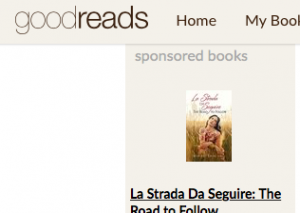 Goodreads Vs Kindle Sponsored Ads Do They Work For Authors? With a least 55 million registered members, all of them read books, Goodreads is a good choice for authors to have sponsored ads during their book launch and during their book tours. Below are reasons why you should use Goodreads. Your ad can target readers who are: looking for a specific book genre, speak a specific language, are a specific gender or age. You pay every time someone clicks your ad. Ads cost 0.50 a click. You can choose between promoted posts or sidebar ads. Readers can look up your book and see your reviews on Goodreads. Readers may choose to add your book to their bookshelves. Like Facebook Sponsored Ads, you can add a graphic picture, tag line and short description. The book categories on Goodreads are large so it is easy to attract a reader who reads your book genre. KDP, like Goodreads, targets the book reader market. Many of the customers are looking for books to read. The advantage of using KDP over Goodreads is that your ad is not asking the reader to leave the site but instead to stay on the site and buy the book. Goodreads Ads can be viewed on your computer and mobile device. KDP has an advantage over Goodreads because readers can read your ad on their Kindle device. In addition, KDP has recently improved interest targeting by adding subcategories. Product targeting lets you search for specific books or other products by keyword. Again, KDP offers keyword targeting while Goodreads does not. Goodreads allows you to target readers by genre or target fans of authors. To brand yourself effectively it is important that your book page and author page have detailed descriptions, favorable honest reviews and look active. If you enjoyed this post please consider sharing it on Facebook,Google and Twitter below.